The team advised on the funding of Devenish Nutrition, named ‘Bank-funded Deal of the Year’; advised BGF on the investment in Braidwater, named ‘Private Equity Venture Capital Deal of the Year’ and played a key role in the sale of Farmvet Systems to Vetoquinol – named ‘Deal of the Year (£2.5-£10m)’. 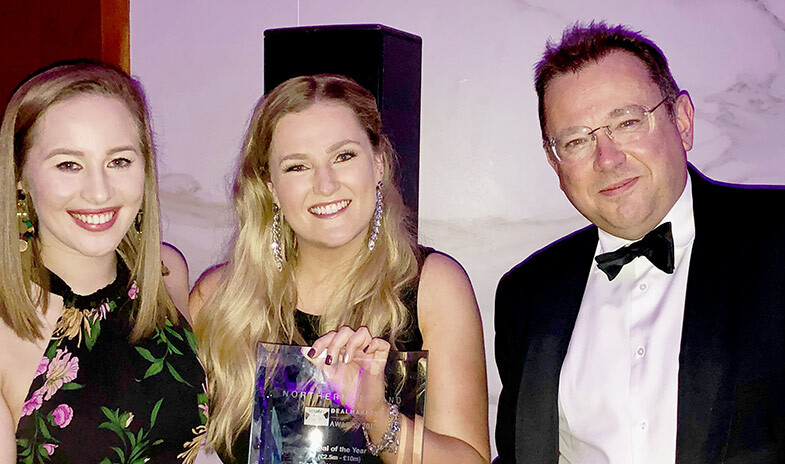 The awards come after a busy year for A&L Goodbody which has been involved in some of the most important and complex deals to take place in Northern Ireland and beyond. The Dealmaker Awards 2019 celebrate the leading corporate finance firms and individuals over the course of the last 12 months. The ceremony was held in The Stormont Hotel in Belfast and hosted by Olympian Colin Jackson.